How EFB Materials Are Made into Pellets? Drying: Dry the palm fiber to certain moisture content which is suitable for pelletizing. Crushing: Crush the fibrous EFB materials into small pieces. Material Sizing is very necessary before the material enter pellet mill, otherwise if the strand is too long it will choke and jammed the machine. This is where the skill and experience comes into play. 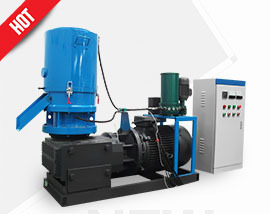 Pelletizing: For EFB pelletizing production, a ring die type large pellet mill is needed. 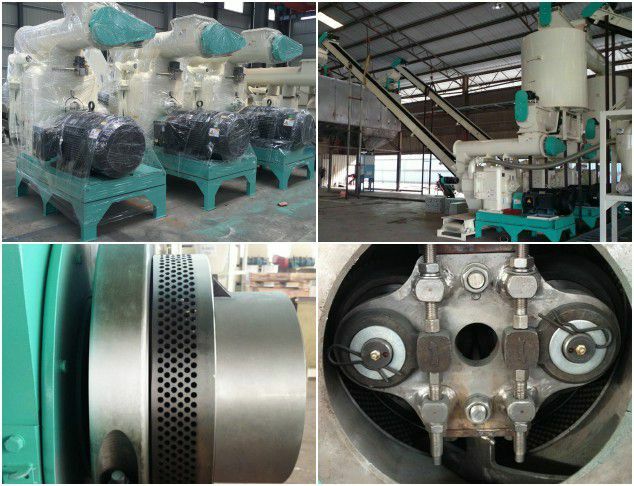 Flat die pellet mill is not capable of processing palm fiber materials. We provide specific EFB pellet mill for making EFB pellets – Large Ring Die Pellet Machine. 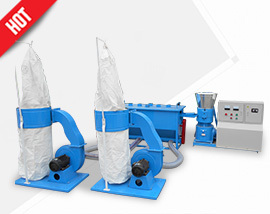 It is designed to process hardwood materials such as palm fiber/silk and EFB empty fruit bunch. The output of palm fiber pellet making production is relatively lower than sawdust pellet making production. Utilize aerodynamics technology to keep the temperature of the machine chamber around 90°C while pelletizing, making it possible to run continuously. Designed with timing feeder, making the feed speed controllable. Largely reduce blocking problem. 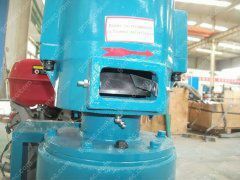 The machine body is made from ductile iron, making the EFP Pellet Mill more durable. This ring die pellet mill is designed with another force feeder which can help increase the feed spread area and highly improve the pellet production capacity. Improved U type screw conveyor ensures continuous feeding without blockage. Driven by high precision gears. GEMCO EFB Pellet Machine is the one that give you good quality pellets and high efficiency with minimal maintenance and downtime. If you want to produce large production of EFB pellets, we strongly recommend you building a complete and automated EFB Palm fiber pellet line. 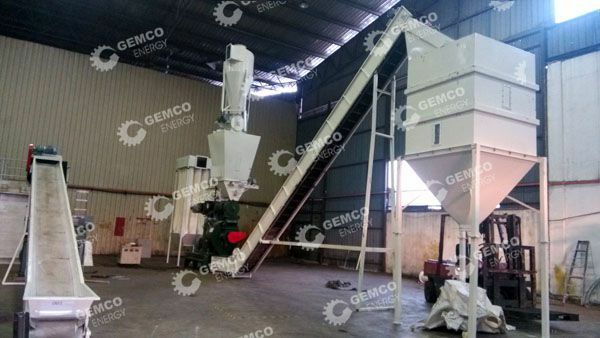 GEMCO Energy can offer you customized EFB Pelletizing Plan and the most suitable equipment. 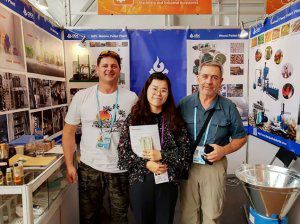 To make premium EFB pellet mill and help our customers make high quality EFB pellets, GEMCO spend years researching palm EFB pellet production, considering each feedback from our customers. And finally we find the best way to make palm fiber pellets. We adjust the main parts of pellet mill to meet EFB pelletizing process. 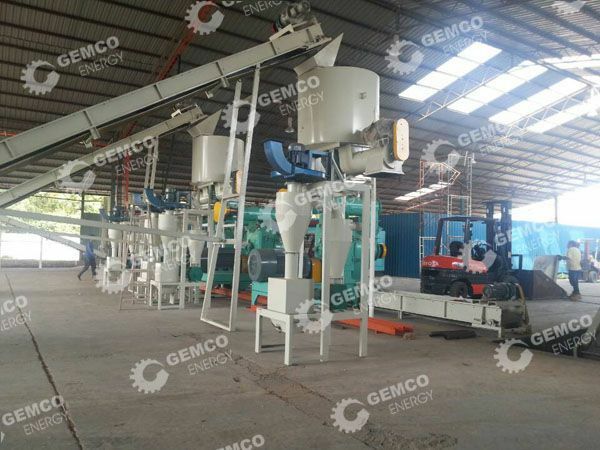 And we also adjust the crushing and drying machinery in palm fiber pellet plant. 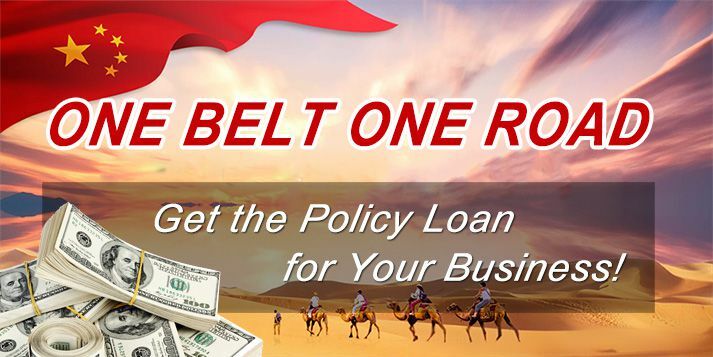 So far, GEMCO Energy has many successful projects of Palm Fiber Pellet Line around the world. The price of EFB Pellet Plant is relatively higher than normal wood pellet plant. The setup of EFB Pellet Line is also a little different from wood pellet production and thus planning ahead will bring tremendous profit later. A reputable and reliable pellet mill manufacturer or supplier can offer all around after service. And you can get correct advice on biomass pelletizing. In some cases, the poor suppliers without skill to build a pellet plant just want to close sales in a rush and offer no after service. There are many customers buying from small factories and losing plenty of money before they can even start to make profit. 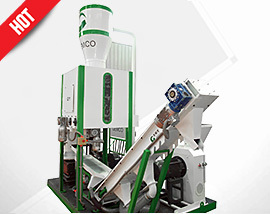 Buy from GEMCO Pellet Mill and we will help your make the plan for free. Send us an inquiry if you are interested. Palm fiber or palm silk is a kind of biomass materials is by-product of palm after oil extraction. It is also called EFB for short. It is featured of high content of oil and water, high hardness and strong tenacity. These features make palm EFB a great material for pelletizing, but also make it more difficult to pelletize. Specialized EFB Pellet Mill is needed to produce pellets from palm fiber or palm silk. The Tricks of making high quality EFB pellets is at the material preparation side. Appropriate material preparation with suitable pellet making machine, there will be no problem in pelleting EFB. Why Choose Palm Fiber for Making Fuel Pellets? Need No Additives While Pelleting: Oil palm fiber is extracted from empty fruit bunches. It contains about 13-25% of lignin and 43-65% of cellulose. And the content of lignin is a key component for making pellets without adding additives. Low Moisture: The moisture content of EFB pellets is around 8-12% while the moisture of shredded EFB fiber is generally around 60%. It means that you can save your costs on transportation. High Heating Energy and Thoroughly Combustion: EFB pellets have a high calorific value of 4300-4800kWhr/ton, which equals to sub-bituminous coal and high density wood pellets. Palm fiber is proved to be very effective when burning. EFB pellets can be burned thoroughly and there is only 5% of substance left over as ash content. Generate Little smoke During Combustion: EFB pellets generate little smoke while burning which means very minimum particulate being discharge to the air. 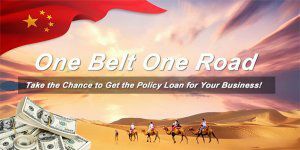 Abundant Material Resources: It is very popular and common in Southeast Asia, especially Malaysia. You can easily get sufficient materials from palm oil plants with very low price. Please feel free to contact us if you are interested in knowing more about EFB Pellet Mills and Palm Fiber Pellet Making Process.